Gigs. If you're a working musician (or most any creative for that matter), gigs are probably a significant source of your income and career. As a result, we've all taken gigs that were soul-sucking, felt like a waste of our talents, or even ones that ended up costing more than they paid. The Gigging Triangle is basically a tool that uses three gig characteristics to help avoid those soul-sucking-waste-of-talent-costing-me-money gigs that, over time, cause more harm than good. 1. Money: Probably one of the most concrete parts of the triangle - does it pay? Always remember to include costs in this calculation! Will you be missing other gigs? Travel costs? Will the time you spend on this project be more profitable if you spend it doing something else? 2. Fun: Maybe it's colleagues you love or an activity you can't get enough of - this part of the triangle includes anything that just makes you happy. I suggest "subtracting" from this category if the gig includes activities you specifically hate. 3. Reward: This is probably the most personal, abstract, and, frankly, tricky category on the triangle. Rewards can either be artistic or career related, will be different for everyone, and will change during different points of your career. 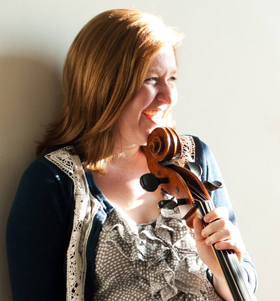 Examples might be performing a piece you've always wanted to learn, getting reviewed, working with an important person in your field, or playing in an important venue. While we can all survive a bad gig every once in a while, the reality is that working for just money, just fun, or just reward isn't sustainable. Also true, unfortunately, is that dream gigs (the ones that are fun, rewarding, and pay) can be pretty rare. The gigging triangle is about making sustainable decisions, not perfect ones. The goal is to only take gigs that fulfill at least two of the three categories. 1. Money + Fun + Reward = You are super lucky! Take the job and hang onto it with your life! 2. Money + Fun = Might not be the most satisfying job in the world, but it will pay the bills and make you laugh. 3. Money + Reward = It might be a bit of a slog, but you'll make your rent and build career capital. 4. Reward + Fun = You'll have a great time and progress your career, it's not going to pay the bills, but still a good investment! I've been trying out this method for about a year, and, while I've definitely still taken several gigs that didn't work out well, I'm taking fewer gigs for money desperation or because I think I "should," and I'm saving my time for the work that will sustain my career. I'll take the progress. 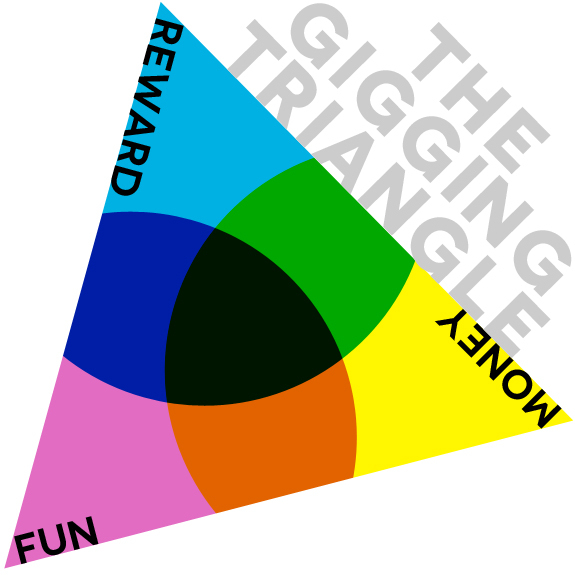 The Gigging Triangle will never be an ideal predictor for the perfect gig, but it is an excellent tool for learning about what works and doesn't so we can make better choices in the future. But it's just one method! How do you decide which gigs to take?